Suffering a disability is a catastrophic event for anyone. The stress it causes a family and even friends is tremendous. To make matters worse, many people don't properly plan for it. Some assume they will never be affected by a disability. Other people assume a disability will be covered by worker's compensation insurance, but, depending on the plan, it is seldom enough to live even a meager existence on. Dean & Draper can offer you the employer several different Texas disability insurance plans to help take care of your employees in their time of need and set their family's minds at ease. We will help you determine what disability insurance costs you can afford and what packages work best for your employees. For employees, the typical Texas disability insurance policy will cover up to 60% of your salary. Additional coverage can handle more, but no plan will cover 100% of your salary. Policies last for a set number of years and typically stop upon retirement. 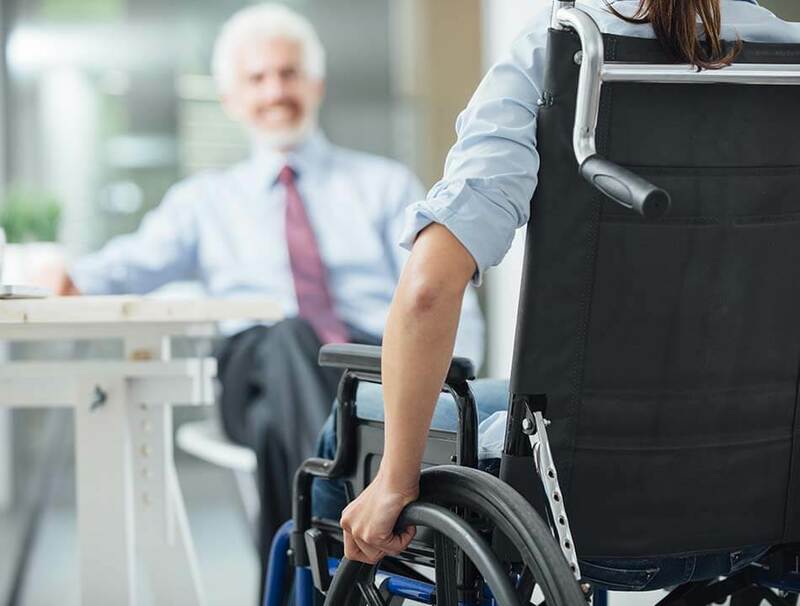 Short-term disability insurance is similar to sick leave in that it covers an illness, injury, or other medical condition that is a temporary situation. For example, maternity leave and other pregnancy-related time off falls under the category of short-term disability. Long-term disability insurance, on the other hand, can last years, depending on the situation. Issues related to joint and muscle disorders, back problems, and diseases like cancer are some of the leading causes of long-term disability, and insurance policies can cover them for specified amounts of time (e.g. five years). Let the experts at Dean & Draper cover both you and your employees in the case of an unfortunate accident or other illness that prevents them from doing their jobs. For more information on how to buy Texas employee disability insurance, please call 1 (888) 266-0444 or (713) 527-0444, or simply submit the form below to request your disability insurance quote.